This is the second step of a 6 step series for setting up your site to work with Inbound Marketing. For more information, read this introduction post. What do you need to do to SEO your website? It is a pretty large task to SEO your website if you have a decent number of pages. Like all things that are a lot of work, you just need to tackle it bit by bit until you are done. How do you eat an elephant? One bite at a time. So, here are a few things to get started on and then we’ll get to what you need to do in order to make sure each page on your site is ready for Google to index it in all it’s glory. Organize your site so that each page has a specific topic. This will help later when we build long-tailed keywords. So, for an example of what not to do….don’t have a services page that has a list of your 11 services with 3 or 4 paragraph descriptions for each service. Google (and your website visitors/readers) would much rather enjoy a page for each service and a “services” page that gives a brief overview of each service and then links to the details page. So, that being said, organize your content and get the structure of your site setup. Fill out the content for each page so that you have at least 300 words that describe what that page is about. Just think about this for a second, why would you have a page that people would go to if there’s almost nothing on it. If there is not quality content on the page, the page is not worth having (and that’s what Google thinks too…so they are going to rank an almost empty page very low). Find an image to go on each page. Having an image that goes along with the content for a page is good and will help with SEO. Find an image that is relevant and is a good accompaniment to your written content. A focus keyword (or focus keywords) for the page. For this, a long-tailed keyword is best (I did a video about this). A relevant Title tag and accompanying H1 tag that has your focus keywords in it. At least 300 words that contain your long-tailed keyword as least once. Meta keywords and descriptions that are inline with your business, your location, and the content of the page. All images on the page need to have Alt tags and relevant text within them. A sitemap file is an XML file that will help search engines know the structure of your site and how pages are related. Once you’ve got your site online, content filled in, and code in order you’ll want to generate a sitemap XML file. If you have a content management system like WordPress there are some great plugins you can download that will generate the XML file for you (I like Yoast), but if you don’t here is a site you can go to that will generate the file for you: XML-Sitemaps.com. Once you have that ready, you’ll want to upload it to your website root and then submit it to search engines. You can submit it to Google through their Webmaster Tools website. You can submit to Bing through their Webmaster Tools website. As a side note: this step will increase how fast Google will index your site (but only slightly). If you change the structure of your site (the content that is on each page), it’s a good idea to re-submit your sitemap but it’s not completely required; search engines will still find and index your site regularly. Go to Google’s Local Business Center and setup your business as a Place (if your website represents a business). Then go to Google+ and create a Business page. If you do things correctly, you’ll be able to connect the Google Place listing with your Google+ Page. Also, there are some steps to follow when setting up your Google+ Business page to verify it with your website (hence connecting your G-Place, G+ Business, and website as once entity according to Google). This is going to get you a lot more “klout” with Google as you’ve proved that you are the owner of the website and that you are configuring your site to work the best with their search engine. Get a hold of everyone you know that has a website. Get them to put a link TO your website on THEIR website. Get them to write a bit about your company or what you do. Get them to post about your website on social media. Go to all your social media profiles and make sure to have your website listed and make sure those details are set to public on your profile. The more inbound links you have pointing to your site, the better…as long as those sites are not blacklisted by the search engines as being bogus. You can’t really get around cheating with this….the links need to be legitimate posts about your business/website. Search engines give lots of bonus points for fresh content. If you have anything useful that you can add to your site over time (tutorials, tips and tricks, resources, new products, etc) make a plan to post those to your site on a regular basis and make sure each page is SEO’ed correctly. When you post each post, make sure to post links to it on Facebook, Twitter, Google+, etc to let people know it has been added. You can even email existing clients or people on your mailing list that would want to know about this new content you’ve created. If possible, sit down and write out 4 or 5 posts all at once so that you can have a steady stream of content to post over the next few weeks and not have to worry about making new content every couple days. Our next blog post is about Posting Content About Your Key Products and Services and 7 Reasons Why Businesses Should Blog. That will go a long way to get you started with SEO. 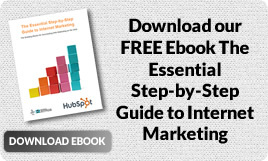 For more information, read our ebook on the Essential Step-by-Step Guide to Internet Marketing where we explain more about SEO on your website.